Electric scooters aren’t new but a classic like the Vespa embracing the format is a big deal. Now the company has revealed its Vespa Electtrica which is purely powered by battery alone. 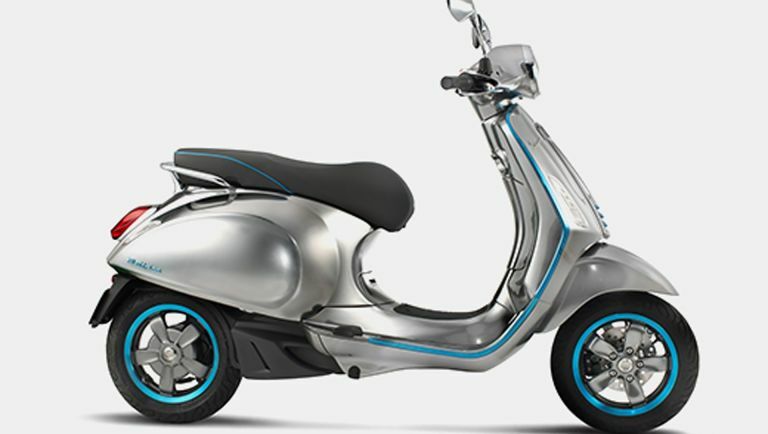 The Vespa Electtrica was announced by the company as a new project which likely won’t hit the roads for some time yet. In fact details on things like range, top speed and charging were not announced. We do know that the Electtrica will retain those classic Vespa looks with styling and handling remaining intact. So, the only major change then should be fuel costs, which will be nil, and power, which should be more thanks to the torque delivery on electric. Range may also change but thanks to the bike’s lightweight this might not be to Vespa’s detriment. It’s also likely this will cost more than your usual Vespa. But when you offset fuel savings and take into consideration that this will likely be smart controlled with a phone app it’s probably going to be worth it. Current electric scooter company GoGoro offers a battery swap out system where the battery is lifted from under the seat to swap for a new charged unit. Perhaps Vespa will opt for that, in which case the battery stations should increase in number helping push electric scooters into the mainstream.